To answer your initial questions: no, this is not cycling attire. It is also not to be confused with the internet trend of a demon, ZOZO, that escapes from your Ouija board (supposedly). 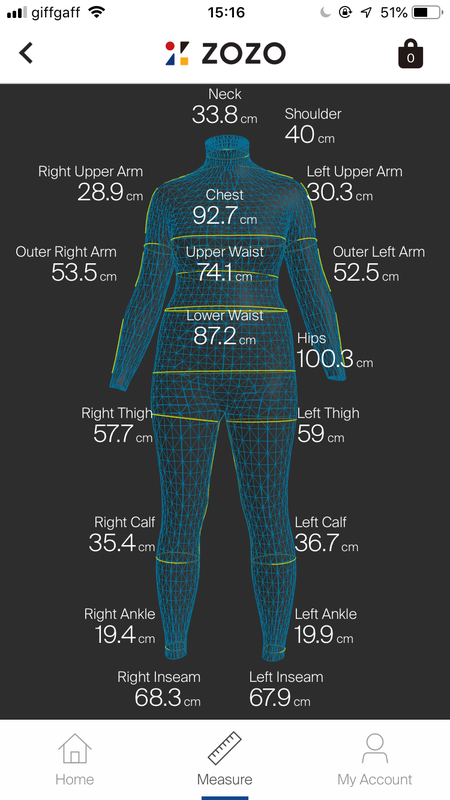 This polka-dot, figure-fitting, stretchy ensemble is a suit that claims to be able to take your exact body measurements electronically, through an app. Yep, you heard that right. The counterpart app then claims that through it's next-level technology, it can recommend to you perfect-fit, custom clothing. In theory, that sounds wonderful: no more ordering clothes online only to have to return them for being too small/large/simply unflattering. 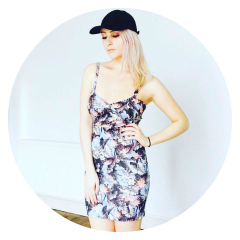 ZOZO may have just changed the game of online shopping! As my curious eyes are always drawn to the weird, wacky, and wonderful things I stumble upon the internet (besides the fact that the ZOZO suit is free, minus the cost of Postage and Packaging), I just knew I had to have it and experience this bizarre creation for myself. 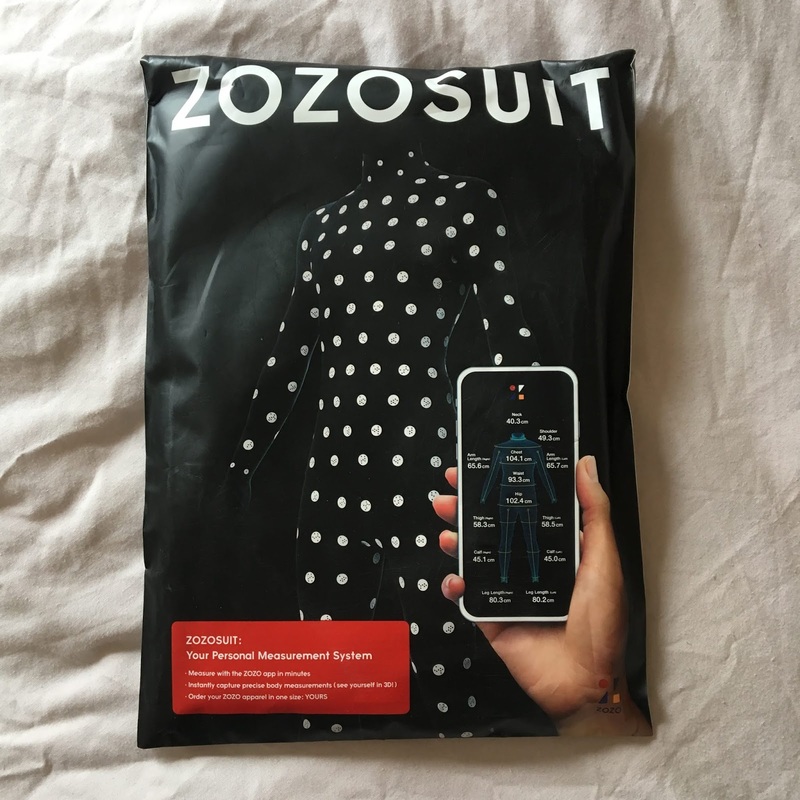 The ZOZO suit claims to use 'revoluationary technology that brings 3D body scanning into the home and makes it both accessible and affordable for the first time in history'. Each ZOZOSUIT has more than 350 white dots, each of which is unique: "these dots serve as fiducial markers, which are essential to the measuring process. As you measure, the ZOZO app will take 12 photos of you (as you stand facing each hour on a clock) and capture where each unique dot is located in place". "Our proprietary algorithm then processes this special data and triangulates a 3D rendering of your body based on where each unique dot was captured in space". The ZOZOSUIT also claims to be more accurate than a human tailor - pretty impressive stuff! But, does it actually work? This is what Safiya, and myself, tried to figure out. I was a little sceptical at first over how straight-forward the measuring process would be, but the process of testing the ZOZO suit was definitely not as complicated as it might seem. Before ordering my very own ZOZO suit, I needed to register an account and input my personal details, e.g. current height, weight, age, and gender. They then use this information to send you a suitably-sized suit that you can comfortably try on and use to find out your exact measurements. I was very curious as to what the suit would look like upon arrival. Fast-forward approximately a week later, my ZOZO suit was here and I was ready to try it out! As you can see from the picture, the size of the garments that were 'allocated' to me were 'Size 2', whatever that might mean! My guess is that must be something along the lines of a woman's medium, or small-medium as I typically vary between size 8, 10, and 12 in everyday clothing. When I opened the package, instructions were provided as well as the suit. The suit itself actually consists of 1 top and 1 pants/pair of leggings, rather than one full body suit. Not what I was expecting! I was also expecting the suit to be really tight and unflattering, but upon trying it on, it was in fact extremely comfy and flexible enough to move around/stretch in. I'd honestly wear this as gym-attire it's that comfortable, despite feeling a little bit like an actor shooting a scene for an animated film! Now that the suit was on my body, the next part was setting it up to take my measurements. Inside the package, there was also a little cardboard piece to prop your phone on when taking the measurements. I set that up with my phone in place, and followed instructions narrated by some creepy robotic AI voice on how I should stand, and at what points I should move to re-angle my body according to clock hands. I'd say this whole thing only took about 2 minutes in total. Now, I don't know about you lot, but this portrayal of my body startled me a little bit: I didn't think I looked quite that large! I'm not sure whether this is an exact portrayal of my figure, but either way, I was quite perplexed. As you can see, these measurements go into a lot of detail. For example I'm not entirely sure how important the width of my right calf is, but I'm no clothes-fitting expert! On another tab/page, the measurements are listed again and go into even more detail, showing some categories of measurements that weren't included on the main screen. 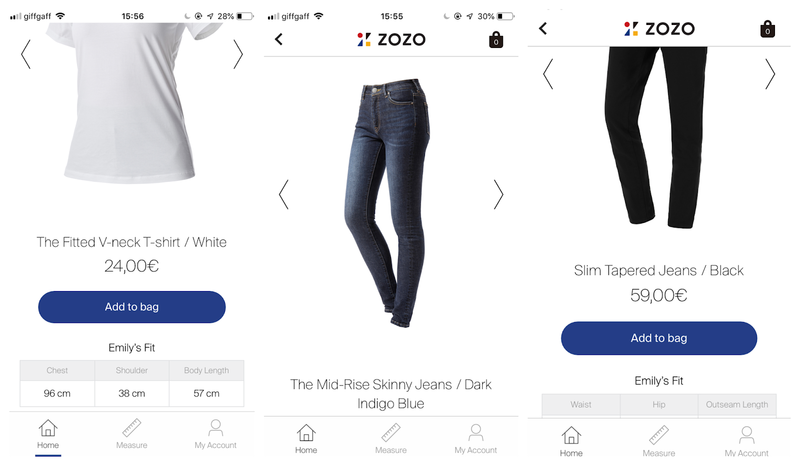 As well as listing the measurements for every cm of my body, the ZOZO app also curated a list of custom clothing tailored to my 'new size'. I have not purchased any of these recommendations solely because of their price range, and the fact that they are a little basic-looking, but it was definitely interesting to look at. After watching Safiya try on her 'perfect fit' clothes that ZOZO recommended, I was just not fully won over enough to buy some for myself. Many of the clothes she tried on were actually a little baggy in some places! I can definitely understand purchasing a pair of fitted jeans, but for me, a custom-fit, simple white t-shirt isn't something I imagine I would desperately need or want. Below each of the individual items, my measurements are listed again under 'Emily's Fit'. 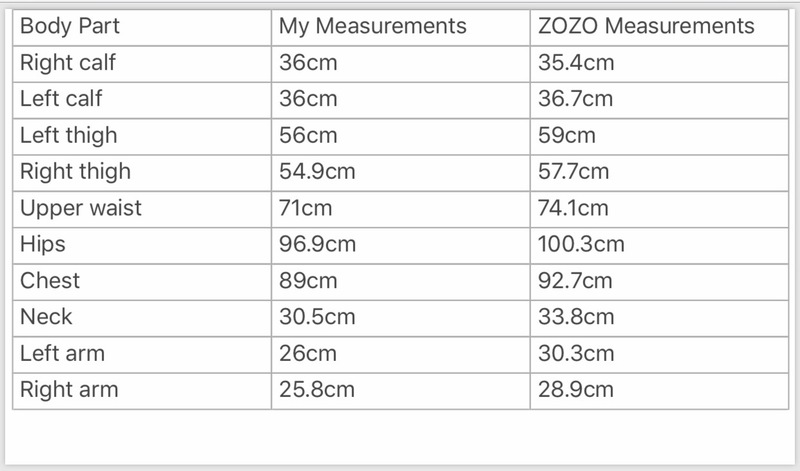 Supposedly, if I ordered these clothes, they would be made specifically for me using these measurements, but I can't help being a little bit pessimistic on that front. 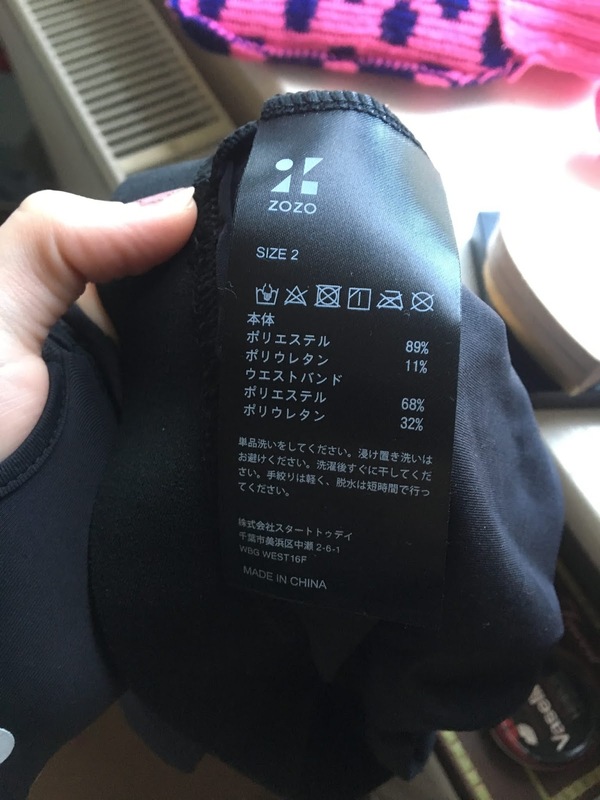 Who's to say that they don't just work out a general size (like small, medium, large) that you would most likely fit into, then just slap a 'custom fit' label onto it? (*Note: we only measured the ones that we deemed most important and not extremely complicated to measure with tape). As you can see from the chart above, ZOZO appeared to add a few cm's to my body in certain places! The ones with the most striking difference were the arms, hips, and waist, whilst my right calf was actually smaller in the suit (curse you, right calf). I think if anything, this goes to show that mistakes can definitely be made and this app is probably in its beta stages. 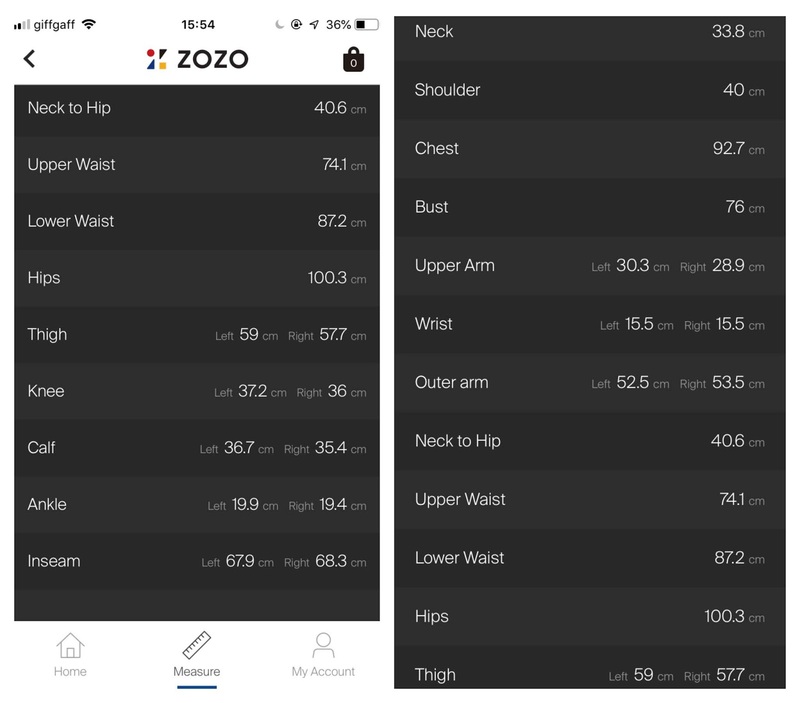 If certain dots are hidden on the suit, or in the wrong position, or you're stood in the wrong position whilst the app is recording your measurements, it's easy for ZOZO to get confused and have anomalies in data. Perhaps this is why my 'AI' visual representation of my body looked a little off, but who knows? 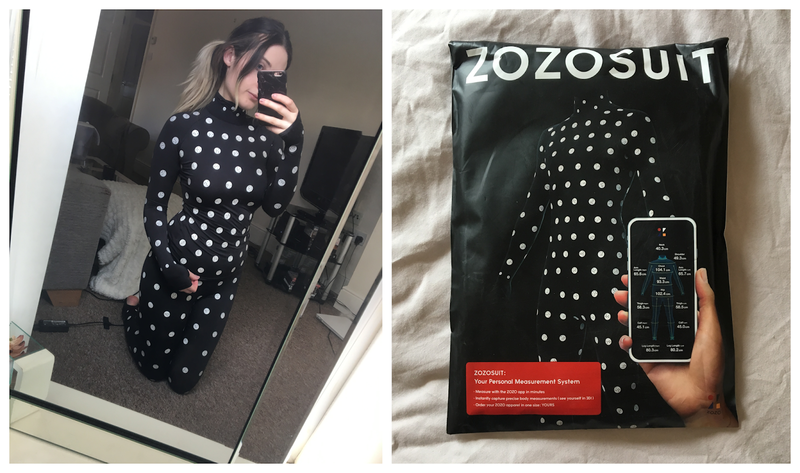 Whilst I had high hopes for the ZOZOSUIT and so desperately wanted it to change my life for the better, it's evident that the suit - and app itself - have a long way to go in terms of development. In Safiya's video, a lot of her measurements (as recorded by ZOZO) were also not quite right, as she found out from trying on the custom clothing. Measuring myself with measuring tape also confirmed my suspicions that not all was as accurate as claimed to be, and to be honest, I'm extremely glad I didn't waste my money on 'Emily's Fit' clothing! That said, I think that the concept of ZOZO itself is fascinating and extremely innovative. I think the ZOZOSUIT has given a tiny glimpse into the future of apps, technology, and how online shopping will fit into that. As far as I'm aware, ZOZO is the first of its kind to try out this kind of software, which gives me hope that future products and future technology will wow us all and eventually get measurements and the like spot-on in terms of accuracy. I think it's also fun to imagine a future where we're able to 'view ourselves' in digital outfits from online stores, as if we were in a changing room without having to physically try on the clothes first. Hopefully one day this could become a reality! I did have a minor conspiracy theory about this whole thing, somewhere between watching the original Youtube video and trying on the suit myself: I do wonder whether ZOZO are fully aware this suit is far from perfect, and far from accurate. And, as I said before, maybe the 'custom' clothes aren't really custom at all. They could have simply made all of their money from the buzz and excitement of everybody ordering their 'free' ZOZO suit: which they pay P&P for! I'm onto you, ZOZO (just kidding, don't sue me). What are your thoughts on the craze that is ZOZO? If you're wanting to try out a suit for yourself, let me know: I ordered two by mistake and have one spare! (This is by no means sponsored either, lol).